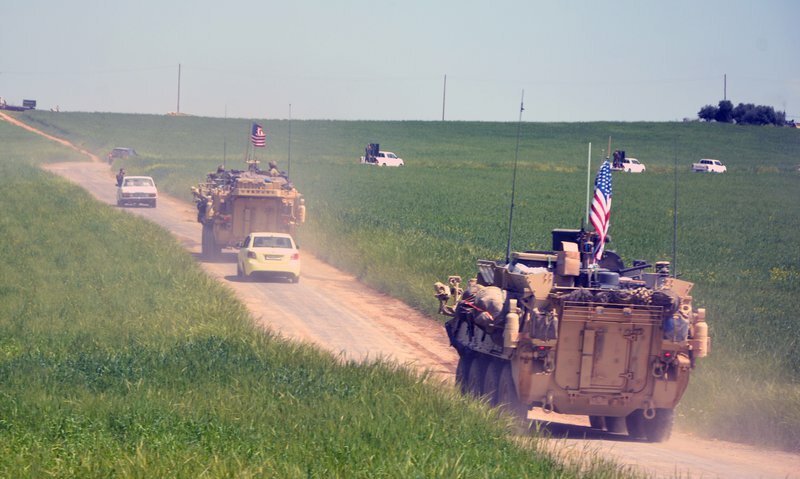 A US-Kurdish convoy , seen in 2017 EFE. Forces led by an alliance of Kurdish militias, with the support of the American-led coalition in Syria, began a “final assault” on the remaining Islamic State (IS) fighters in Syria, cornered in the east of the country. The action is taking place in the east of Dair al-Zaur province, and began on Saturday night, according to a statement from the coalition, after more than 20,000 civilians were evacuated from the area. IS militants still control two towns in the region, Baguz and Baguz al-Fauqani, despite extending their control, in 2014, to over half of Syria and a third of Iraq. A few hours before the assault, a spokesman for the coalition, Mustafa Bali, said, in an email, that his “troops would be fighting this battle to the bitter end, until the entire zone has been liberated”. The battle rages on, and the Syrian Human Rights Observatory yesterday said a counter attack from “terrorists” was underway.